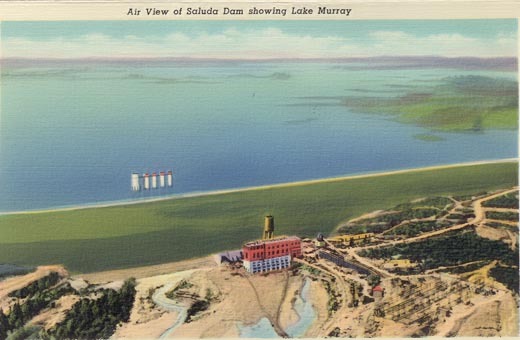 LAKE MURRAY was constructed between 1927 and 1930. The Dreher Shoals Dam formed a 48,000 acre lake in the heart of South Carolina and only a short drive from downtown Columbia. The lake covers an area of 78 square miles with 620 miles of shoreline. The waters of the Saluda River that feed Lake Murray supply energy to the Saluda Hydroelectric Plant turbines and cooling water to the McMeekin Steam Generating Plant. Both plants are owned by South Carolina Electric & Gas Company (SCE&G). 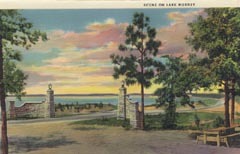 When completed, Lake Murray was the largest power reservoir and Dreher Shoals Dam the largest earthen dam in the world. Today, Lake Murray stills supplies electric power, is the major source of drinking water for the city of Columbia, and has become the water playground for the Midlands. The Lake Murray adventure means boating, sailing, canoeing, fishing, skiing, swimming, camping and just plain fun at one of the South's most scenic playgrounds. Lake Murray Fishing | Boating Safety NEW! See my NEW Lake Murray Welcome Video Below! Amazon Store - great recommended products and great prices! Guide Service - Let's Go Fishing! 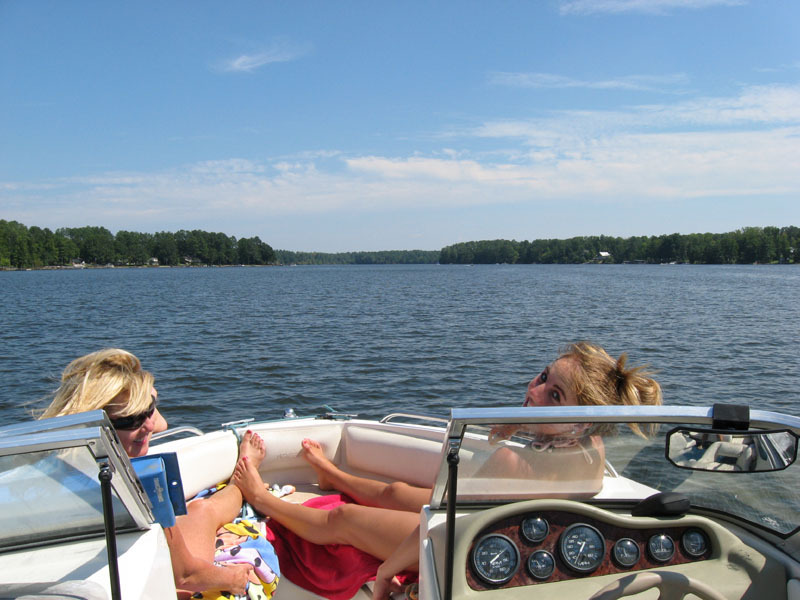 Lake Murray is BIG -- About 41 miles long and 14 miles wide at its widest point. Plenty of room for fishing, boating and water skiing. 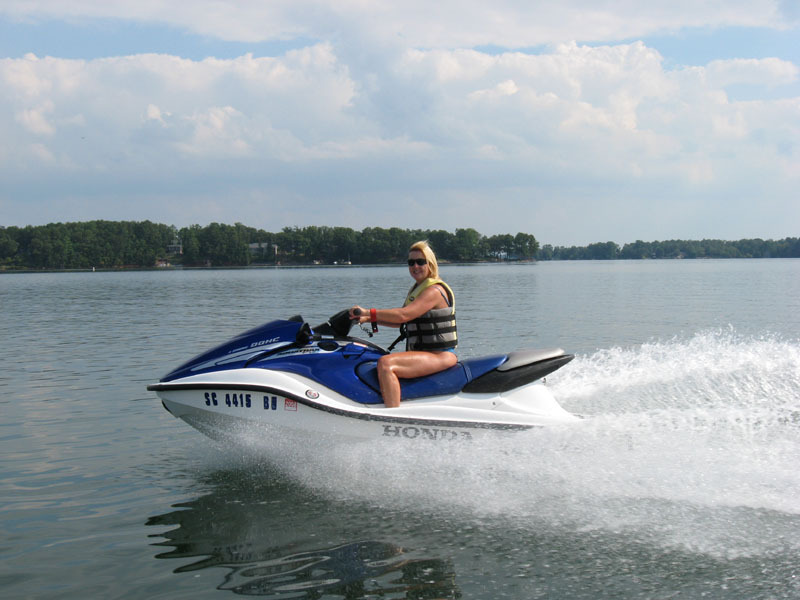 Click Here for Boating in South Carolina Information: Safety & Laws, Boat ownership title & registration requirements. This hotline has the current Lake Murray water level and weather forecast. Fishing is GREAT at Lake Murray! 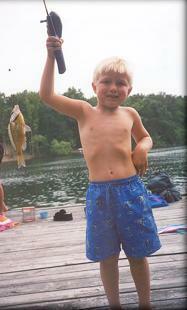 The lake has hosted numerous fishing tournaments. Although the lake is home to a large number of fish species, the most popular are: largemouth bass, striped bass, bream and crappie. 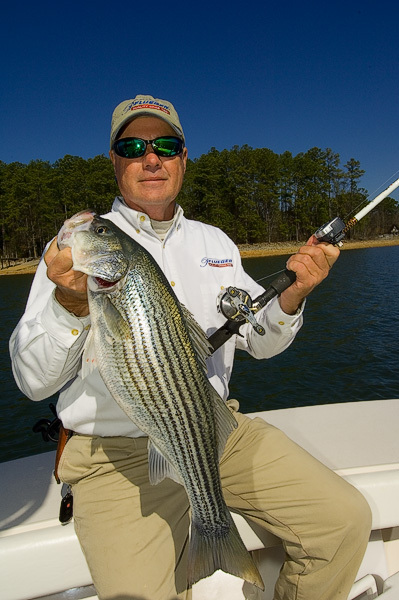 Updated fishing report for the state, including Lake Murray. Lake Murray Homes & Water "Toys"
The max full level at Lake Murray is 360'. This is normally not achieved -- the normal "full" level is about 358' which typically occurs from early spring to early summer. After that, the lake is drawn very gradually to a low level of about 354' from about December through mid February. 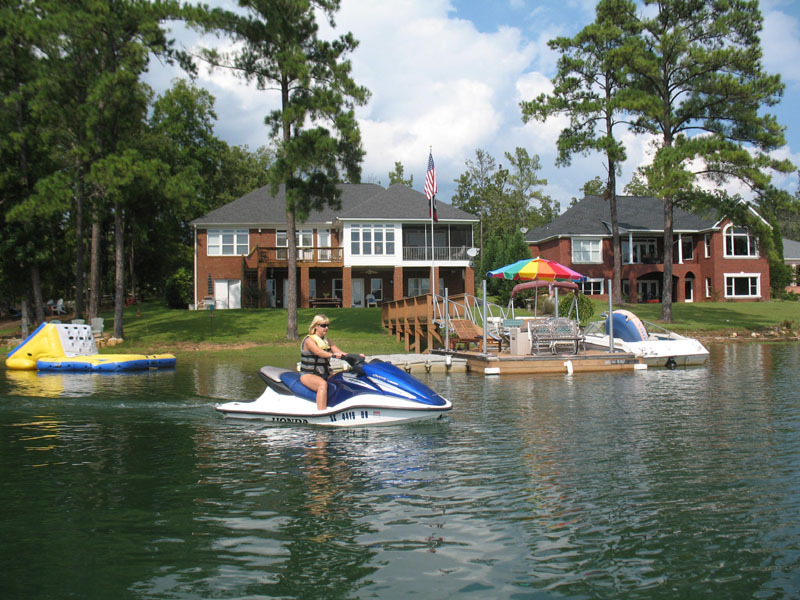 Lake Murray Association: Live on the Lake? Do Lake Murray business? Care about Lake Murray? 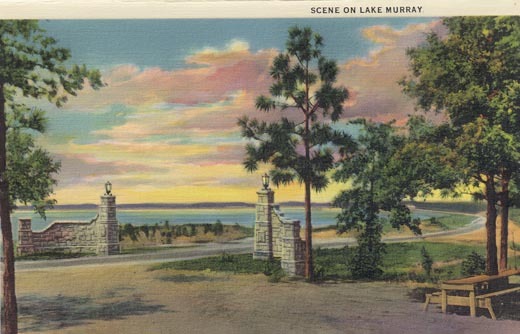 You need to be a member of the Lake Murray association. 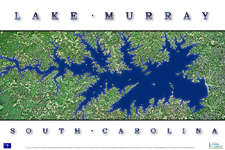 Call Mel Coker at (803) 932-2144 for your membership application, or visit the Lake Murray Association website.